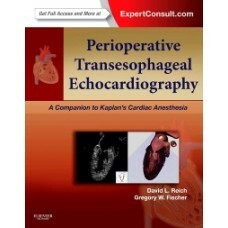 1st Edition 2013, 376 p.
Recognize the Transesophageal Echocardiography (TEE) images you see in practice by comparing them to abundant 2D and 3D images, as well as an extensive online library of moving (cine) images. Learn from acknowledged leaders in the field of cardiac anesthesiology - Drs. David L. Reich and Gregory W. Fischer. See how to address specific clinical situations with detailed case studies and discussions of challenging issues. Access the complete contents and videos online at Expert Consult.